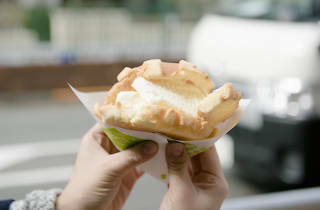 Two years of research to create the perfect melonpan has resulted in the launch of Sekai de Niban-me ni Oishii Melonpan (‘The World’s Second Best Melon Bread’). 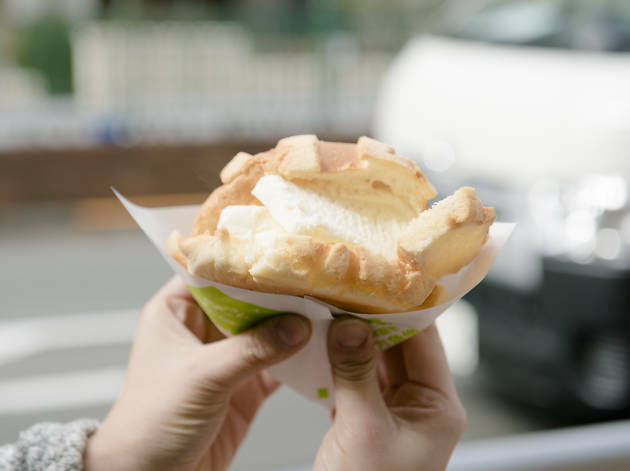 This store only sells melonpan baked freshly in the oven, and their most popular item is the Melonpan Ice, which is a crispy, sweet bun with vanilla or chocolate ice cream inside. 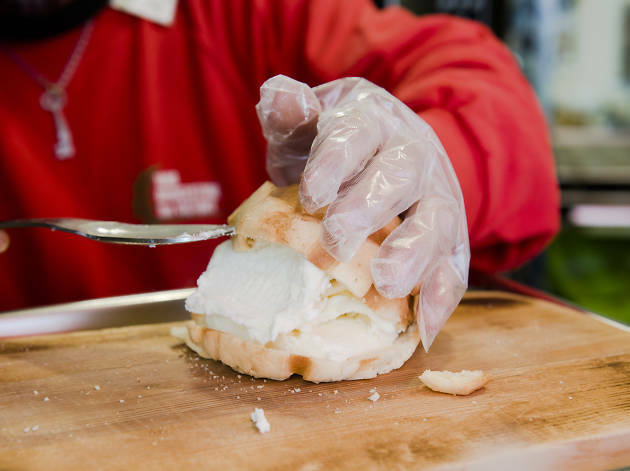 Check in once in a while to see what seasonal sandwiches they offer – there could be pineapple inside, or you might find one or more savoury options.